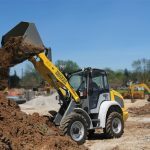 Case Construction Equipment introduces the new F-Series line of compact wheel loaders — the 21F, 121F, 221F and 321F — completely redesigned to provide improved maneuverability, versatility and performance. 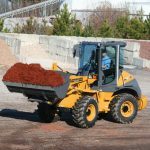 The new F-Series compact wheel loaders feature Case’s “maintenance-free” Tier 4 Final particulate matter catalyst solution and offer a more compact design while increasing breakout force and lift capacity. 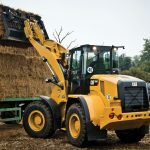 The new models feature increased attachment compatibility (the 221F and 321F offer optional high-flow auxiliary hydraulics), exclusive new electronic controls and added cab comfort features to improve machine performance and reduce operator fatigue. 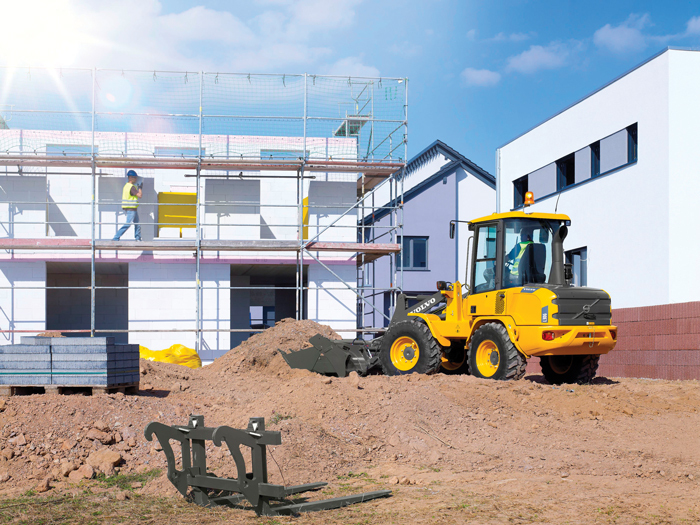 The 21F and 121F are available in two separate loader arm designs (Z-bar and parallel lift). All four machines also feature Case’s Automatic Ride Control feature, a function that engages at elevated speeds to reduce spillage and machine looping, as well as creep mode for fine machine control/operation. For more info, visit casece.com. 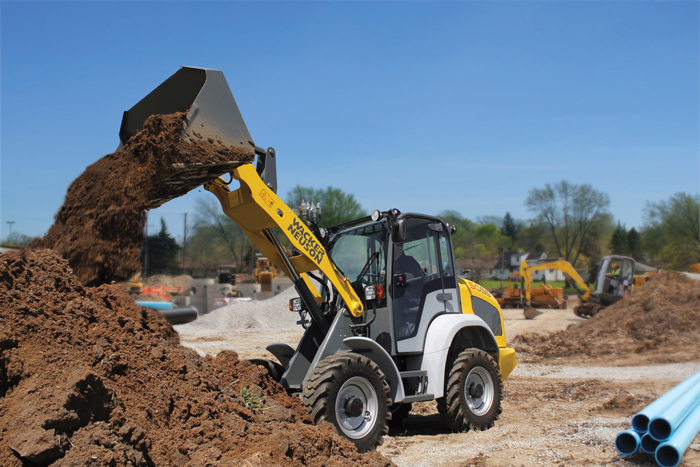 As Wacker Neuson moves its wheel loaders to Tier 4 Final engines, the company will upgrade the model designations to reflect the new engine classification. 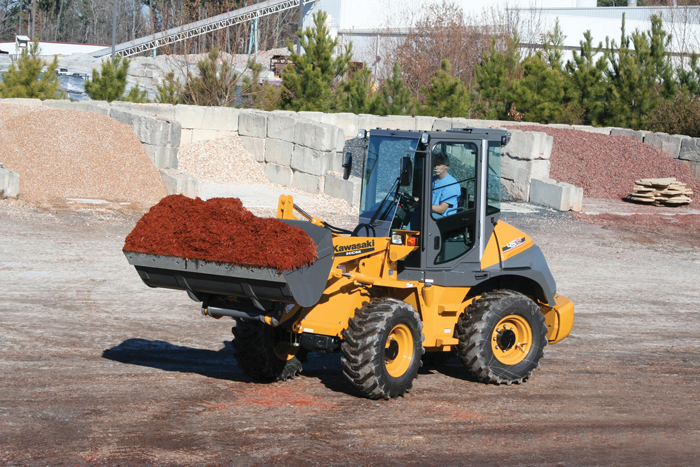 The first wheel loader to undergo the new naming convention is the 5055 (formally the 550). This versatile, all-wheel steer model comes with a Tier 4 Final 47-hp Yanmar engine. The powerful engine allows the unit to offer a high drive force for digging and moving materials efficiently. This also sets the stage for the addition of an optional high performance high flow which allows for increased hydraulic horsepower to run larger attachments such as snow blowers, brooms and trenchers. 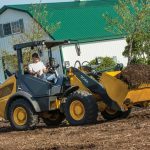 A hydraulically-operated universal skid steer style quick-hitch allows for efficient changing from one accessory to another without leaving the operator’s station. 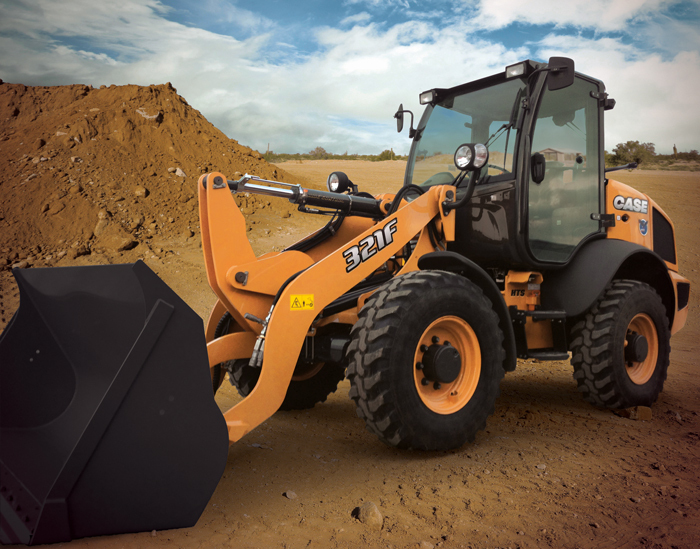 The standard skid steer plate allows users the convenience of using their skid steer attachments. A faster travel speed option is also available providing up to 19.5 mph. For more info, visit wackerneuson.us. Two new Cat compact wheel loaders — the 910K, a new model in the range, and the 914K, replacing both the 914G2 and IT14G2 — feature Caterpillar’s exclusive Optimized Z-bar loader linkage, allowing these new models to work with the digging power of conventional Z-bar machines, while also providing the parallel lift of an integrated tool carrier. Both models use a 92-net hp, EPA Tier 4 Interim/EU Stage IIIB engine, the Cat Hystat hydrostatic drive system and newly designed cabs. High-lift booms, couplers and a range of work tools, including Cat Performance Series buckets, are available, ensuring optimum versatility and productivity. The 910K and 914K feature the Cat C3.8B engine, longitudinally mounted to facilitate routine maintenance and to provide excellent rearward visibility. A new, single-plane cooling system uses an efficient hydraulically driven fan or an optional Cat Demand Fan that operates only as required. For more info, visit cat.com. Kubota Tractor Corp.’s R20 Super Series wheel loaders, the R420S and R520S, offer strength, comfort and operator benefits. Both models are powered by fuel efficient E-TVCS three- and four-cylinder Kubota diesel engines rated for 41.2 and 46 hp, respectively. The wheel loaders are highly maneuverable in tight spaces, with 40 degrees of articulation in either direction and 8 degrees of frame oscillation. Four-wheel drive and limited-slip differential power the machines through rough terrain. 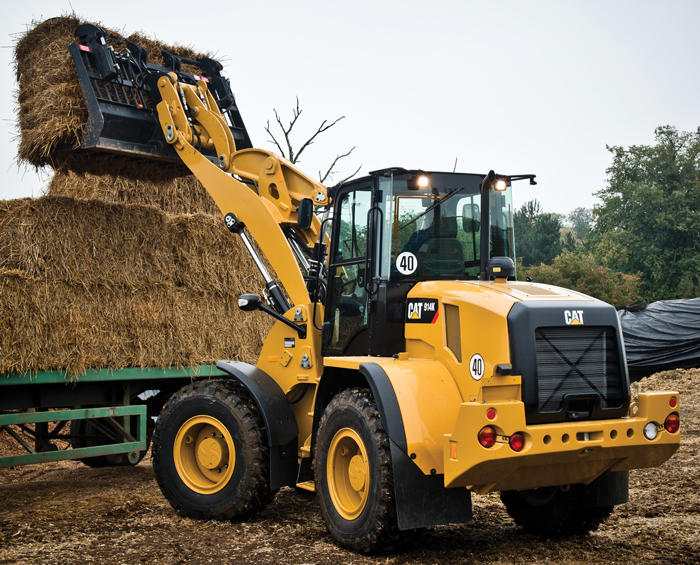 The R420S produces a maximum bucket breakout force of 6,550 lbs, while the R520S breakout force is rated at 7,425 lbs. Kubota’s load sensing transmission enables efficient load handling by automatically adjusting speed and torque as load conditions vary. For more info, visit kubota.com. 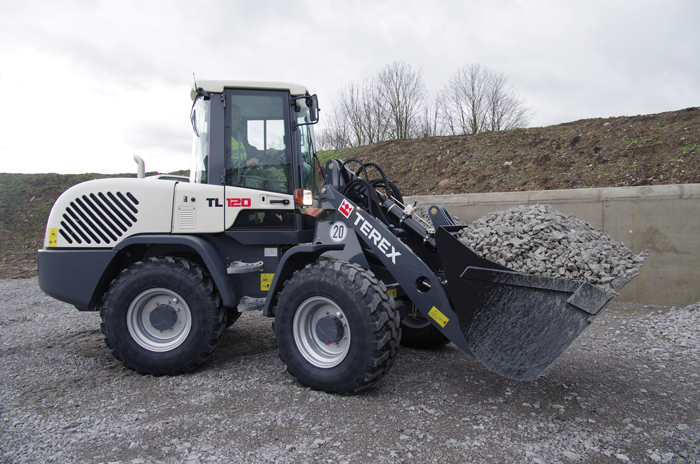 The Terex TL120 compact wheel loader comes with far more than just a more powerful Tier 4 Interim four-cylinder turbo diesel engine with intercooler; it has a new Terex Smart Control operating system, a quieter cab offering a better view to the ground for the operator and a new cooling system. Boasting a powerful 101 hp, the Deutz engine provides the 16,653-lb operating weight TL120 with approximately 16 percent more power and 90 percent lower exhaust emissions from its predecessor. Further efficiency gains come from the new operating concept which makes it much easier for the operator to configure the machine precisely to an application. Within the cab, a new dashboard display provides better at-a-glance machine operation information, while the multi-function joystick comes with an electro-proportional control circuit and a slow/fast key for precise handling. 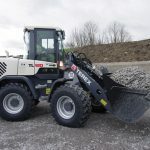 For more info, visit terex.com. 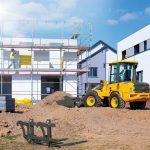 Volvo L30G and L35G wheel loaders may be compact, but they possess the versatility and breakout and lifting forces expected from larger machines. Both models feature powerful, new, fuel-efficient Volvo engines that meet the demanding emissions requirements of Tier 4 Final regulations. The G-Series Volvo Care Cab is an industry leader, says Volvo. The spacious interior offers low levels of noise and vibration for a safer, more comfortable operating experience — which leads to lower fatigue levels. Ergonomic controls are intuitively located and fall easily to hand, while a fully adjustable seat enhances comfort. Visibility is second to none with a wide, curved windshield and compact engine cover. 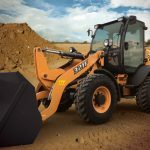 For tough jobsites, the wheel loaders include an exclusive portal axle design, which protects the propeller shaft and axles from damage, providing operators peace of mind the machines’ drivetrain is protected against the rigors of rugged terrain. For more info, visit volvoce.com/na. Kawasaki is introducing two new compact wheel loaders, the 42ZV-2, a .78-cu-yd loader, and the 45ZV-2, a 1.18-cu-yd loader. Both are designed and engineered with all of the performance and reliability of the larger Kawasaki wheel loaders, but in a smaller package. 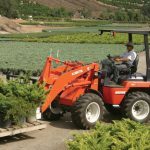 With standard features such as a hydraulic quick-coupler, third spool hydraulics and reliable Kubota engines, these loaders are small in size but big in value. 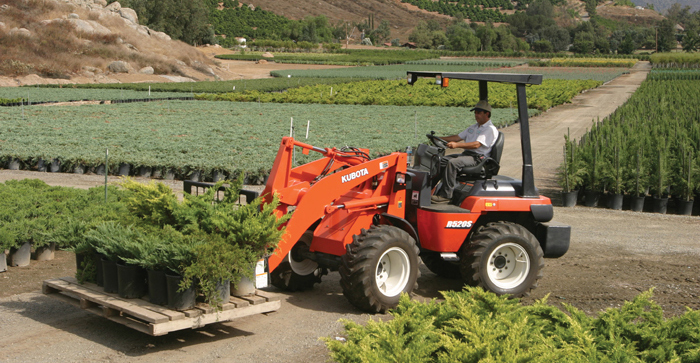 With Tier 4 Interim emissions-compliant Kubota engines, heavy box frames and a well-balanced design, these compact Kawasaki wheel loaders provide stable, reliable operation. Innovative HN bushing technology, easy access electrical relays and the side-by-side aluminum radiator and oil cooler provide easy access for maintenance. With one of the highest ground speeds in its class, the 45ZV-2 features an electronically controlled hydrostatic powertrain providing quick, smooth acceleration. For more info, visit kawasakiloaders.com/Compact_Loaders. 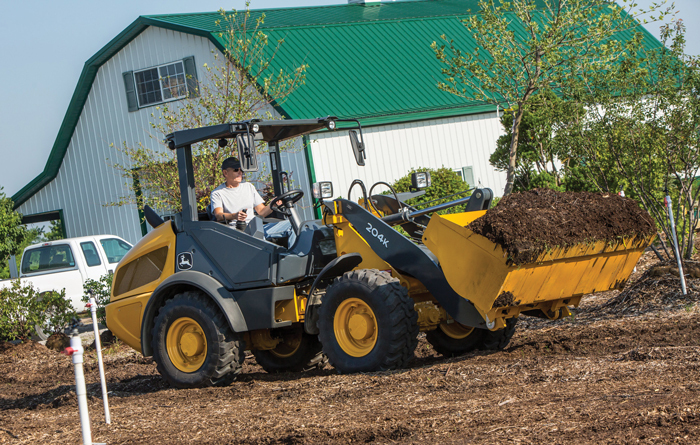 Designed specifically for lower-clearance applications, the 204K (59-hp) and 304K (64-hp) compact wheel loaders are the latest additions to the John Deere line and boast a Tier Interim 4 diesel engine and a two-speed transmission with a top speed of 12 mph. A foot lower than other compact John Deere wheel loaders, the 204K and 304K feature rigid front and rear axles to meet the 8-ft height while lowering the center of gravity and increasing stability and the tipping load limit. The two new models can easily reach and work in areas with restricted access such as door and trailer openings. Both models come standard with an open operator station designed to withstand the elements, featuring weather-resistant gauges, extended rooftops, non-skid floor mats and optional vandal proofing. The open-canopy model is perfect for applications where the operator has to frequently get on and off the machine or applications where the operator does not want to worry about breaking glass. For more info, visit deere.com.